It appears the war of words between the APC and the PDP over allegations of corruption and the published list of alleged looters is just getting started. The debate is gaining momentum as the PDP insists that its three-day ultimatum to federal authorities to explain the source of the funds used in financing President Buhari’s 2015 campaign still subsists. The opposition party is even raising issues of corruption against the current administration, giving a list of sums spent that the Buhari administration needs to justify. On Tuesday, the opposition party, described the list of looters as a ploy to divert people’s attention from public discourse. 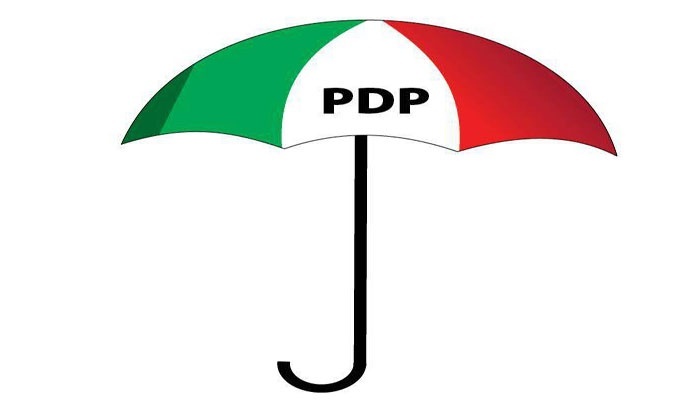 A statement by the PDP's spokesman, Kola Ologbondiyan, said the list had failed in shifting attention away from the raging questions on the ruling party’s numerous scandals, manifest sleazes and overall failures in governance. According to the opposition party, the nation has seen that the Federal Government has no case against the PDP. “It is now a notorious fact that the whole essence of the flimsy and contemptible lists were to cause public misperception, ‘change the topic’, and divert international and national discourse from various serious issues,” the party said. These issues, according to the PDP, include the “parlous state of the nation’s economy” for which Nigerians are resorting to vices, including slavery and suicide. It also listed intensive global criticism of APC-led government, particularly with the latest from Bill Gates and eminent statesmen. These according to the party include former President Olusegun Obasanjo, former Military President, Ibrahim Babangida and former minister of defence and ex-Chief of Army staff, General Theophilus Danjuma. “The international interest over speculations of conspiracy theorem on the alleged manipulation of security in the abduction and return of the Dapchi schoolgirls for which Amnesty International (AI) has called for an open inquest. It also listed the nine trillion Naira corrupt oil contracts at the NNPC, alleged stealing of 1.1 trillion Naira worth of crude oil, looting of 18 billion naira Internally Displaced Persons (IDP) intervention fund and the alleged stealing of 10 billion Naira National Health Insurance Scheme (NHIS) as part of the issues. "These are issues that cannot be swept under the carpet using any ploy whatsoever. “While we still challenge the APC to name any members of the repositioned and rebranded PDP convicted for corruption, we wish to remind them that our three-day ultimatum to explain the source of looted fund to finance President Buhari’s 2015 campaign still subsist. "No amount of blackmail or intimidation can stop Nigerians from holding the dysfunctional APC accountable," he said.